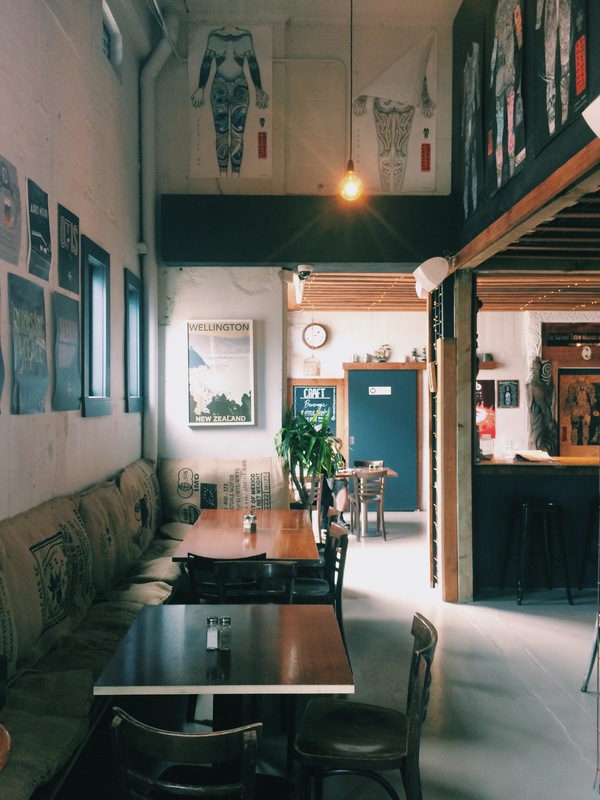 Everything started in 2014 when two brothers decided to surprise Wellington with a cafe where modern creativity embraces vintage. 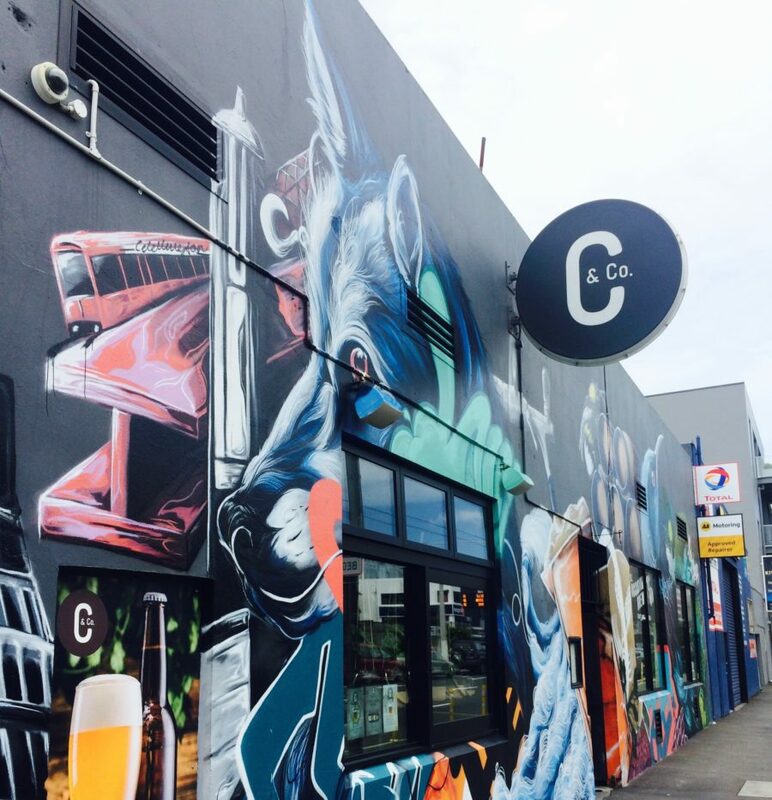 Nowadays Crafters & Co is a Wellington hidden pearl located on the corner of the Vivian and Victoria streets behind the colorful graffiti walls. Here it’s all about great vibes and outstanding service. The artistic wooden ceiling, maritime highlights, good music and detailed decoration fill the room with a cozy atmosphere. Moreover it’s a place where you will be spoiled with a choice of craft beers cold like the heart of your ex. 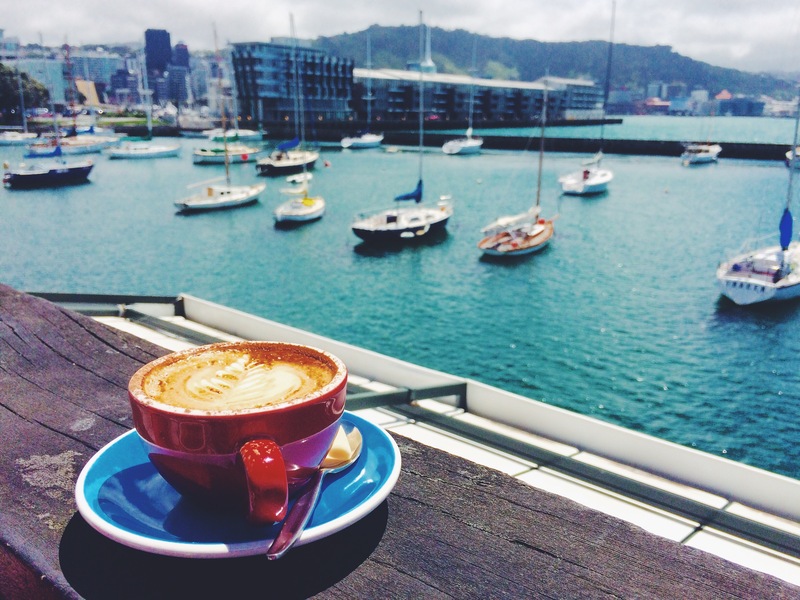 And when finally the weather is good in Wellington you can take a seat outside and enjoy your drink under the sunlight. In the near future you can even relax on the rooftop of the bar. Ladies, who are not interested in beers can taste refreshing and delicious ciders, from Eddie’s Cider Co micro brewery which is located just next door. The curious ones can even taste samples to personally find out which is more enjoyable. There is also a unique variety of wine and spirits, so no one will have an empty glass. 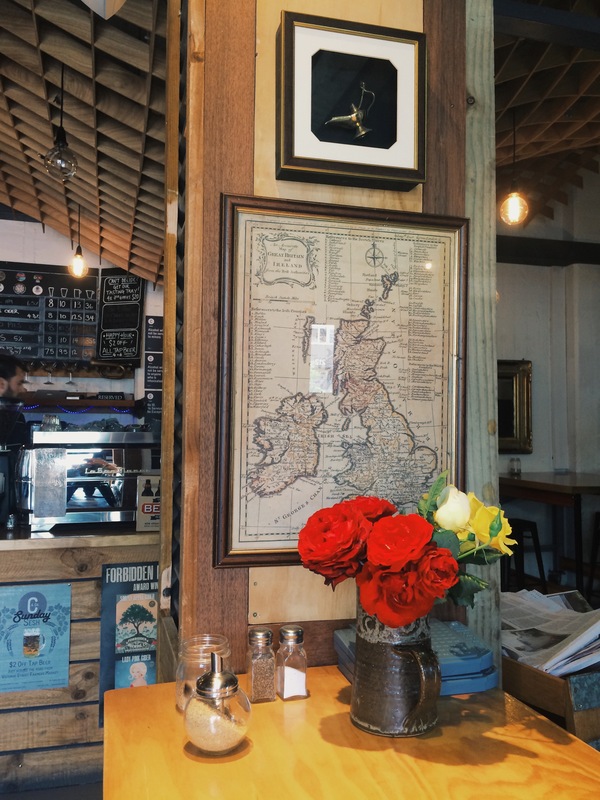 Crafters & Co is an ideal place to catch up with a friend for a great coffee and delightful food. You can find everything for a small or big hunger, from sweet cookies until juicy burgers, all for a decent price. 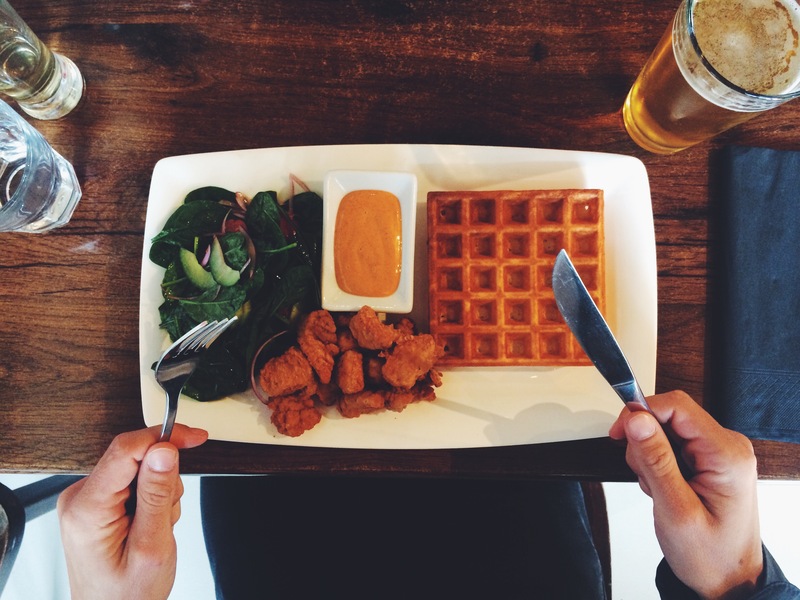 We had the crispy chicken waffle with baby spinach salad and salt and pepper squid with delightful wasabi mayo and tomato, capsicum and kiwi fruit salad. Both dishes didn’t just look appetizing but tasted excellent. Especially the unexpected combination of a salad on the side of the fried squid left me positively surprised. 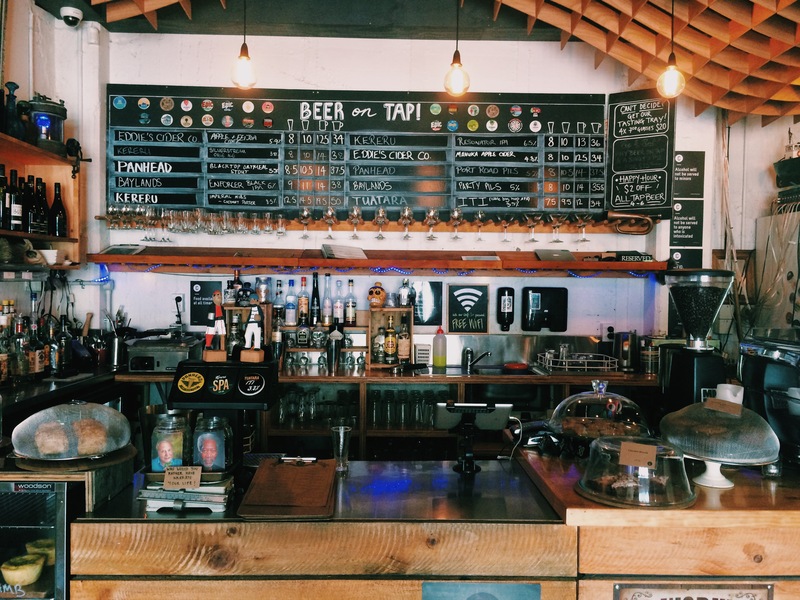 Another wonder of this bar is that they offer happy hours every day from 4 – 6 pm with 2$ off on tap beer and house wines. So if you want to enjoy your afterwork away from the chaotic city or you just want to have an awesome beer for a lower price then it’s time to visit homely Crafters and Co. You feel like a house party would be a great idea then you can get your favorite take away bottles for 2$ off any day till 10pm. I’m looking forward to visit Crafters & Co again to try the seductive beer brownies served with peppermint anglaise and vanilla ice cream. Sounds tempting, doesn’t it? So probably we’ll see each other there on a Sunday Sesh, when the happy hour is not just an hour but the whole day! 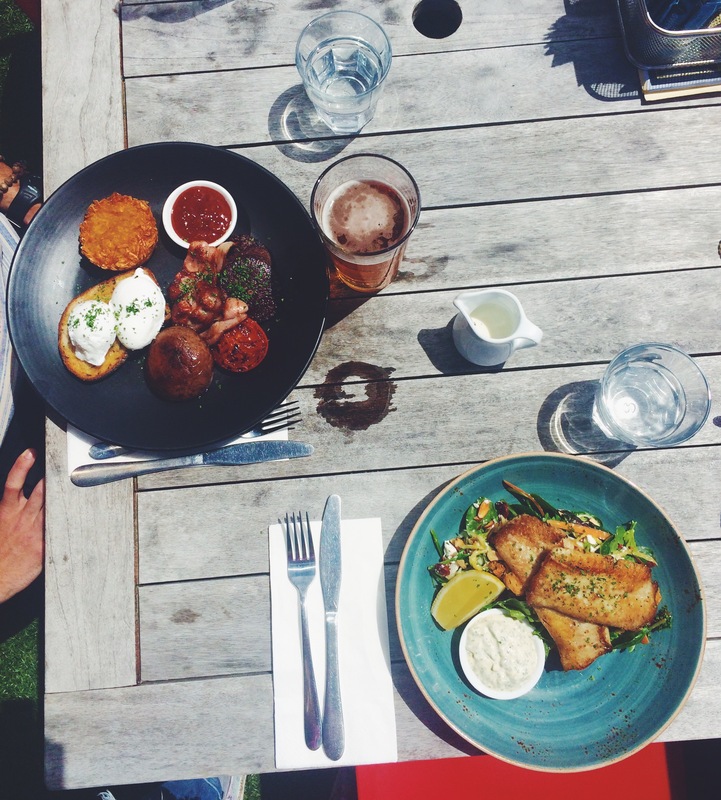 There is no other place like Coene’s Bar & Eatery in the whole of Wellington city. The simple reason is the scenic view where the metropolis meets the glistening waters of the bay. The magnificent restaurant has an ideal location along Oriental Parade, just a lovely winding stroll away from the city`s core. The building started it’s life as part of an American navel base during World War 2. 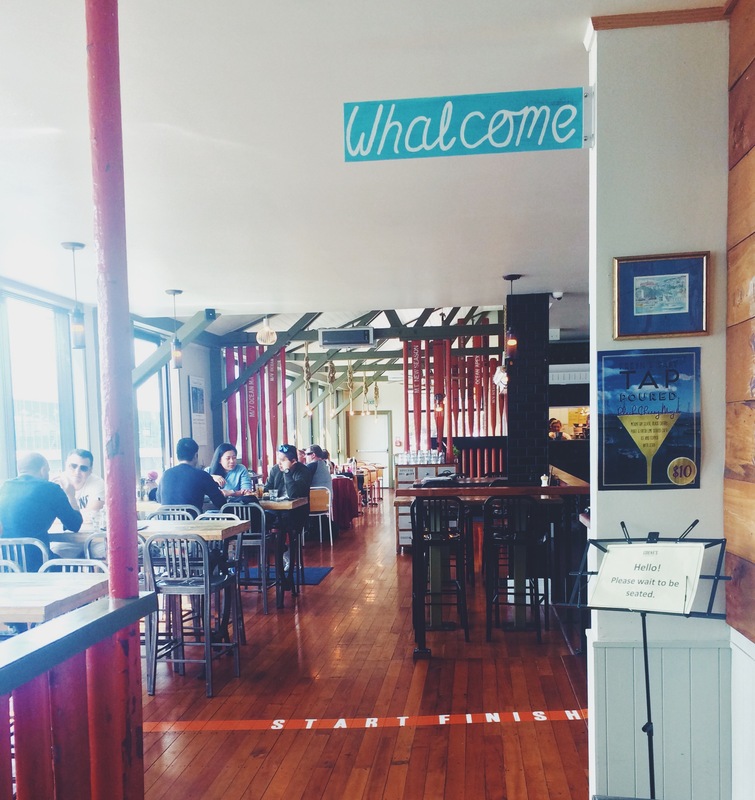 Nowadays it’s an exciting mix of a sophisticated environment and relaxed atmosphere, where every guest is “Whalcome”. Even though being in close proximity to the heart of the city, it lets you immerse into a tranquil holiday atmosphere. The perfect place to get away from the busy streets and enjoy delightful food and heartwarming service. 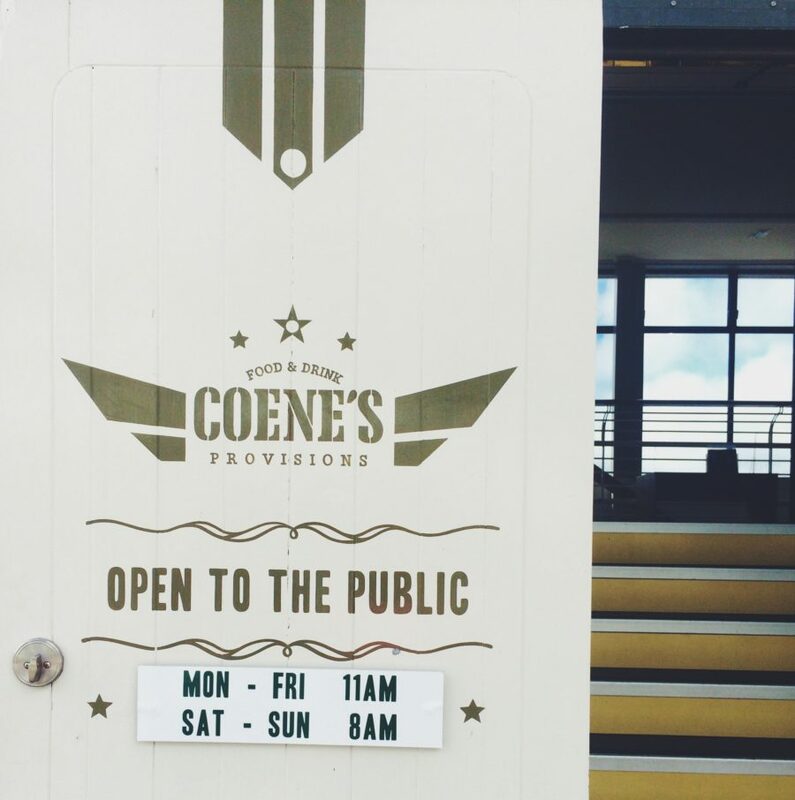 Apropos the service: Coene`s staff will make you feel like home. But let me tell you more about another highlight of this eatery: Delicious food. The first savory creation on the plate was Coenes Cookout: Potato Rosti, Bacon, Tomato, Poached Eggs, Black Pudding, Roasted Mushroom w Smoked Tomato Relish & Toasted Sourdough. The composition was not only appetizing but also scrumptious. 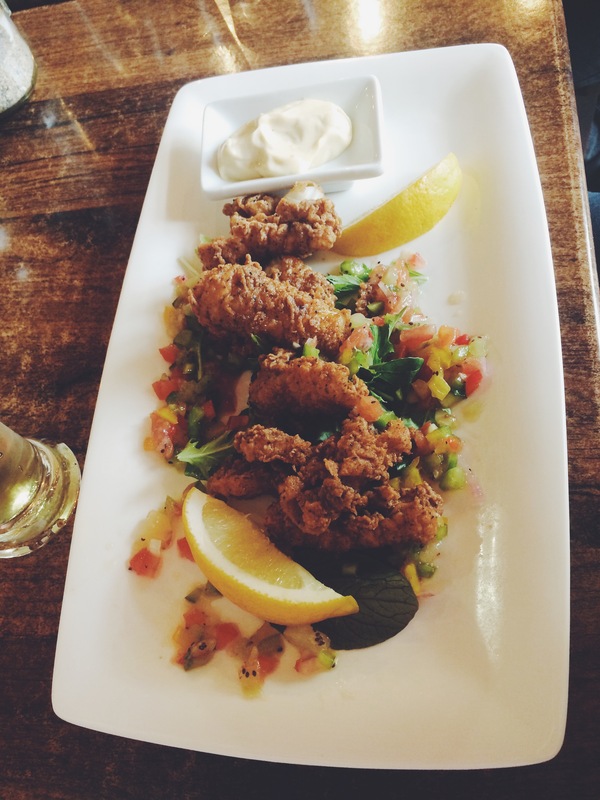 It’s a perfect meal for food lovers who like to try a bit of everything without overeating. The other plate was served with roasted cauliflower salad with cranberries, almonds, herbs, chili, coconut and Tarakihi fish from the market. The salad which was full with refreshing flavors was perfectly complimented with the juicy panfried white fish. The portion had a good size as to leave some room for the sweet conclusion. 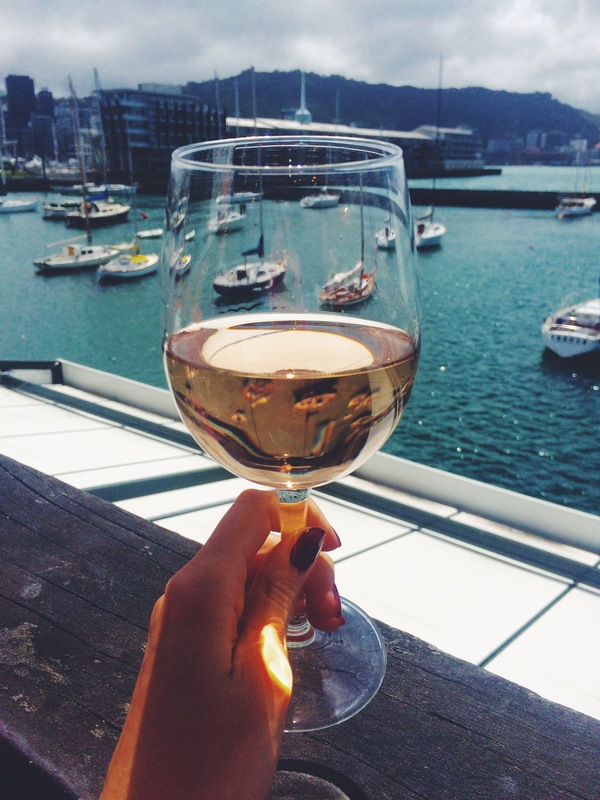 While we were waiting for our sweet sins to arrive from hell’s kitchen we decided to clink our glasses for the sun. To my positive surprise the lovely waitress informed me that they have French Rosé Chateau Routas, which is excellent. Marvelous is also that the prices are nor higher than anywhere else in Wellington city. We didn’t have to wait to long for our desserts. One of them was sweet and sour pineapple & passionfruit cheesecake. It’s an interesting and mouthwatering interpretation of a classic cheesecake. Doubtlessly my favorite combination! The other one was a calorie bomb banoffee parfait with salted caramel, peanuts, choc brownie & ganache. 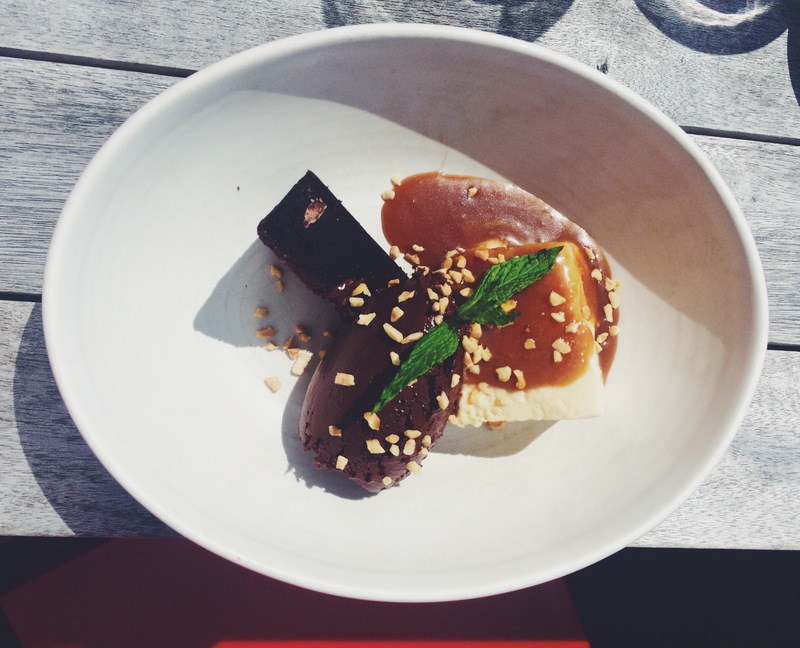 An incredible dessert and a dream for every chocolate and caramel enthusiast! 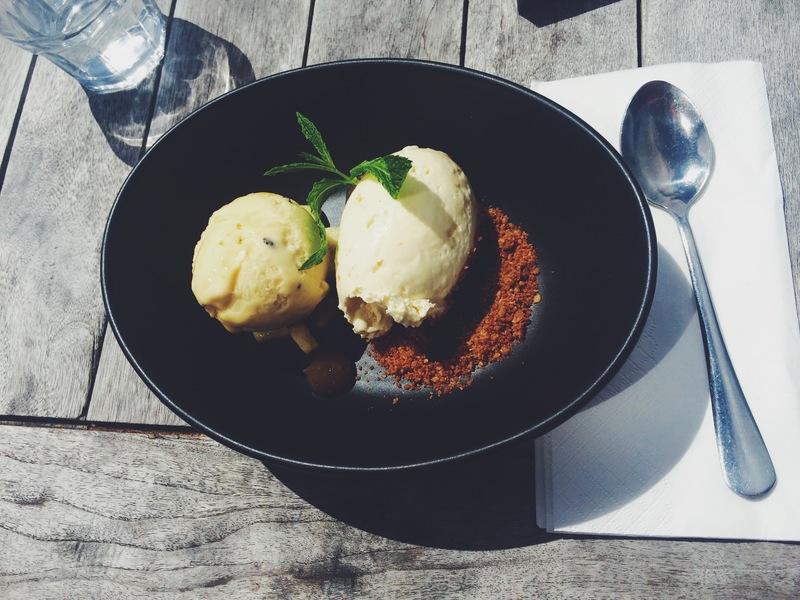 Both desserts will let you forget reality for a moment. …And when you open your eyes you will see the splendid view of the harbour. Don’t forget life can’t be always perfect but the moments at Coene’s place can be!